Newly released documents from Panama-based Mossack Fonseca & Co, the firm that was at the heart of the Panama Papers scandal, show that Turkey’s pro-government construction conglomerate owner Mehmet Cengiz made a $15 million secret deal with a company located in the British Virgin Islands in order to purchase shares in Turkey’s first nuclear plant, Cumhuriyet newspaper reported on Thursday. Cumhuriyet is the only Turkish medium that has gained access to the Panama Papers. The names of 13 current or former heads of state have appeared in the previous leaks, as well as six businessmen including Mehmet Cengiz. 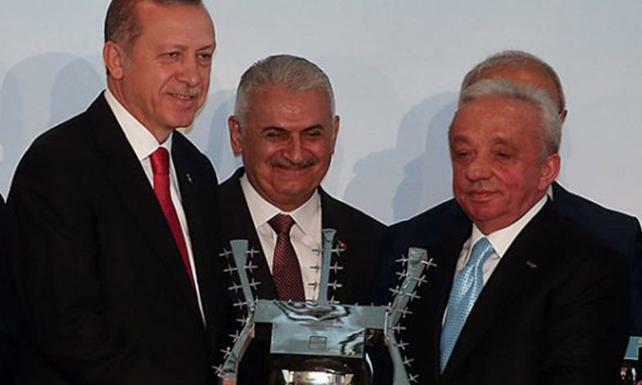 Mehmet Cengiz, the owner of Cengiz Holding, has been awarded many public contracts during the 16 years of Justice and Development Party (AKP) rule, including the construction of Istanbul’s third airport. According to the new leaked documents, Mehmet Cengiz wanted to buy a 49 percent stake of the Akkuyu nuclear project and signed a deal with a consultancy firm in British Virgin Islands linked to Mossack Fonseca, agreeing to make a payment of $15 million. The CEO of the consultancy firm appears to be Fuad Akhundov, who had been the CEO of the Akkuyu Nuclear Power Plant (NPP) Stock Company until April 2016 and remained as one of its board members until February 2018. Russian state nuclear corporation Rosatom in June 2017 announced its agreement to sell a 49 percent stake in the NPP Akkuyu project to Ta consortium, comprising Cengiz Holding, Kolin Insaat Turizm Sanayi ve Ticaret and JSC "Kalyon Insaat’, all government-affiliated Turkish construction companies. However, the consortium pulled out of the deal in February 2018 due to disagreements on the commercial terms. In April 2018, Russia's Energy Minister Alexander Novak told Anadolu Agency that talks with potential Turkish investors for Akkuyu NPP were ongoing. “Our priority is Turkish companies, especially the companies in which the [Turkish] government has some stakes. I hope that an agreement will be made soon for investors to participate in the project,” he said. AKP döneminde kazandığı ihalelerle öne çıkan Mehmet Cengiz, Akkuyu’dan hisse almak için Britanya Virjin Adaları merkezli bir şirketle 15 milyon dolarlık gizli bir anlaşma yaptı.